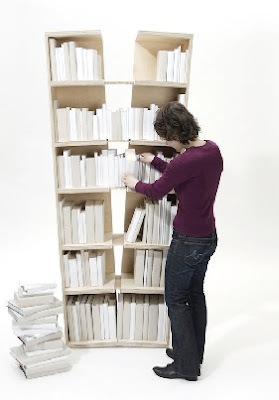 Bookshelves often seem to burst. 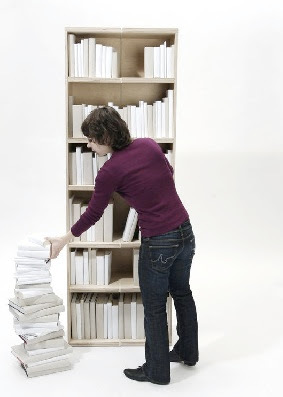 You always try to squeeze in another book into the last gap which is far too narrow. 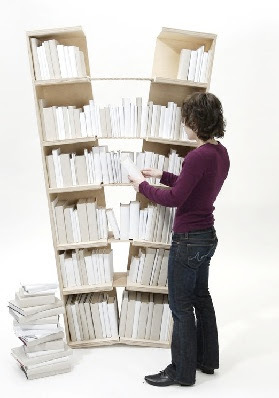 „Platzhalter“ gives in to force and makes space for more books by literally bursting. An initially hidden board stretches between the split halves and widens the usable surface. 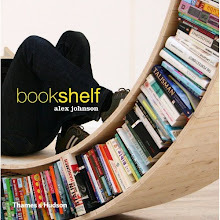 The more books you add to the shelf, the wider it opens. 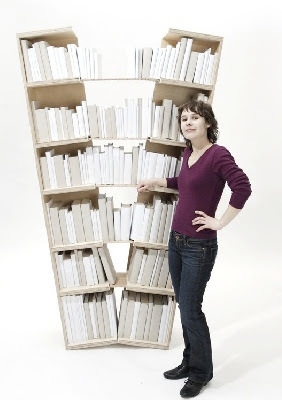 The classical rectangular shape turns into a V-shaped outline until the shelf reaches itsdefined limit. It's a dream...literally; I think I dreamed this. Nice. I wonder how stable it is as it moves outward.